Do you want to help aerospace engineers solve problems faster? Does the phrase “nonlinear partial differential equations used for unsteady computations” excite you? Do you want to try yourself with the complex computational software that NASA scientists use? This might be the challenge for you. NASA’s Aeronautics Research Mission Directorate (ARMD) is responsible for developing technologies that will enable future aircraft to burn less fuel, generate fewer emissions and make less noise. Every U.S. aircraft and U.S. air traffic control tower has NASA-developed technology on board. It's why we like to say, NASA is with you when you fly! We need to increase the speed of computations on the Pleiades supercomputer, specifically for computational fluid dynamics, by orders of magnitude, and could use your help! This isn’t a quest for the faint of heart. As a participant, you’ll need to gain access to FUN3D software through an application process with the US Government. Although this software usually runs on the Pleiades supercomputer, you can download and run it locally after applying HERE. NASA’s Aeronautics Research Mission Directorate (ARMD) is tasked with innovating at the cutting edge of aerospace. Their work includes Innovation in Commercial Supersonic Aircraft, Ultra-efficient Commercial Vehicles and Transitioning to Low-Carbon Propulsion while also supporting the development of launch vehicles and planetary entry systems. These strategic thrusts are supported by advanced computational tools, which enable reductions in ground-based and in-flight testing, provide added physical insight, enable superior designs at reduced cost and risk, and open new frontiers in aerospace vehicle design and performance. The advanced computational tools include the NASA FUN3D software which is used for solving nonlinear partial differential equations, known as Navier-Stokes equations, used for steady and unsteady flow computations including large eddy simulations in computational fluid dynamics (CFD). Despite tremendous progress made in the past few decades, CFD tools are too slow for simulation of complex geometry flows, particularly those involving flow separation and multi-physics (e.g. combustion) applications. To enable high-fidelity CFD for multi-disciplinary analysis and design, the speed of computation must be increased by orders of magnitude. NASA is seeking proposals for improving the performance of the NASA FUN3D software running on the NASA Pleiades supercomputer. The desired outcome is any approach that can accelerate calculations by a factor of 10-1000x without any decrease in accuracy and while utilizing the existing hardware platform. Ideation (this page) - Ideas and approaches may include, but are not limited to exploiting algorithmic developments in such areas as grid adaptation, higher-order methods and efficient solution techniques for high performance computing hardware. Ideation responses can be submitted by clicking the accept challenge button above. Architecture (Topcoder) - Optimize individual software module code and inter-node processing in order to reduce overall model computation time and parallelization efficiency is the goal of this second challenge. Ideal submission may include algorithm optimization of the existing code base, Inter-node dispatch optimization or a combination of the two. Unlike the Ideation challenge, which is highly strategic, this challenge focuses on measureable improvements of the existing FUN3D suite and is highly tactical. See Topcoder for full details. 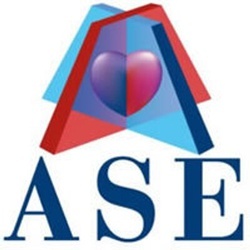 FUN3D has strict export laws so only US citizens may apply for the software and compete in this challenge. Use only personal non-affiliated emails like Gmail or Yahoo. Company or .edu emails should not be used since you are competing as an individual and they imply affiliation. You should plan to install the Fun3D on your own computer, NOT one provided by your company or school. No other individuals besides yourself should be using this software and you should answer affirmative to the question asking if it will be used in-house only. You should use your full name for the recipient (Company/ University) Name question. Once your request has been accepted you will get an email notification informing you will need to sign the Software User Agreement. Once you log back into the NASA Software portal and you should see your request in the Pending state, there will be “action” button with an option to sign the SUA. This does not mean your application is complete. Once you sign, the final step is to verify your address. Once you sign the Software agreement (SUA) you will be sent a letter via the US mail which will contain a passcode. You may respond to the email provided in the letter and include the passcode. After you send the email which includes the passcode you should receive instructions to download the software within one business day. You will need to get started on this right away, as this approval process will take several weeks. While you are waiting for the software request to be processed you can download and read the FUN3D documentation and manual. The FUN3D software is typically run on the NASA Pleiades supercomputer. Pleiades is a distributed-memory Silicon Graphics Inc. SGI ICE cluster connected with InfiniBand® in a dual-plane hypercube technology. Information about Pleiades can be found here. The High Performance Fast Computing Challenges is about optimizing source code to improve NASA’s FUN3d Computational Fluid Dynamics suite in such a way that flow analysis that previously took months to compute can now be done in days or even hours. We are hoping this challenge will identify ideas that will improve FUN3D to complete complex flow analysis 1000x faster. We think there are several approaches to finding solutions that will help NASA achieve 1000x performance improvement and they don’t all require you to be an aeronautical engineer. Ideas and approaches may include, but are not limited to exploiting algorithmic developments in such areas as grid adaptation, higher-order methods and efficient solution techniques for high performance computing hardware. How do I win and Ideation Prize? Will the proposed solution maintain the current accuracy of models? How feasible is the implementation? How much time and effort will it take to implement the proposed solution? How does your submission go above and beyond the sections above? The Prize is open to those eligible to obtain FUN3D: US Persons (US Citizens, Permant Residents/Green Card holders, and those in the U.S. as a protected political asylee or under amnesty), on US soil, age 18 or older, private teams, public teams, and collegiate teams. If you are a NASA employee, a Government contractor, or employed by a Government Contractor, your participation in this challenge may be restricted. Submissions must be made in English. All challenge-related communication will be in English. To be eligible to compete, you must comply with all the terms of the challenge as defined in the Challenge-Specific Agreement, which will be made available upon registration. Innovators who are awarded a prize for their submission must agree to grant NASA a an irrevocable, royalty free, perpetual, sublicensable, transferable, and worldwide license to use and permit others to use all or any part of the solution including, without limitation, the right to make, have made, sell, offer for sale, use, rent, lease, import, copy, prepare derivative works, publicly display, publicly perform, and distribute all or any part of such solution, modifications, or combinations thereof and to sublicense (directly or indirectly through multiple tiers) or transfer any and all such rights. See the Challenge-Specific Agreement, which will be made available upon registration, for full details on intellectual property. Submissions must be made online (only), via upload to the HeroX.com website, on or before 5:00pm EST on June 29, 2017. All uploads must be in PDF format. No late submissions will be accepted. Based on the winning criteria, prizes will be awarded per the weighted Judging Criteria section above. The determination of the winners will be made by HeroX based on evaluation by relevant NASA specialists. By participating in the challenge, each competitor agrees to submit only their original idea. Any indication of "copying" amongst competitors is grounds for disqualification. All applications will go through a process of due diligence; any application found to be misrepresentative, plagiarized, or sharing an idea that is not their own will be automatically disqualified. All ineligible applicants will be automatically removed from the competition with no recourse or reimbursement. No purchase or payment of any kind is necessary to enter or win the competition. Void wherever restricted or prohibited by law. 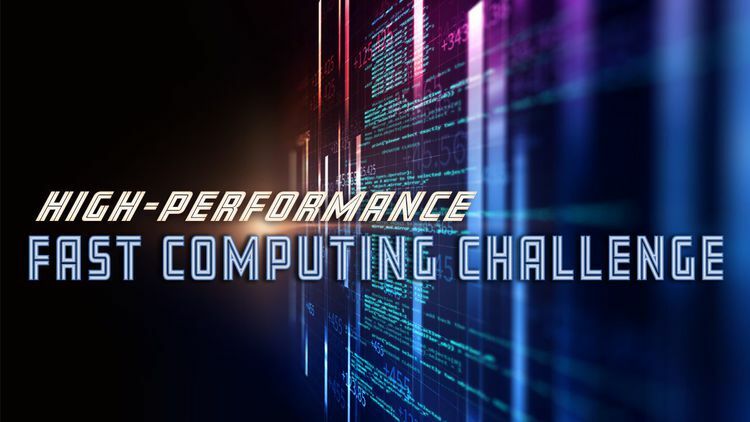 Are You Ready ” High Performance Fast Computing Architecture Challenge ” of NASA?